We collected one metadata history record for Skibarn.net. Ski Barn has an elaborated description which rather positively influences the efficiency of search engines index and hence improves positions of the domain. 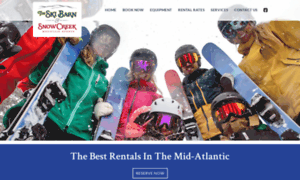 Largest ski and snowboard rental in Snowshoe - Winterplace - Timberline - Canaan - Wintergreen since 1980.